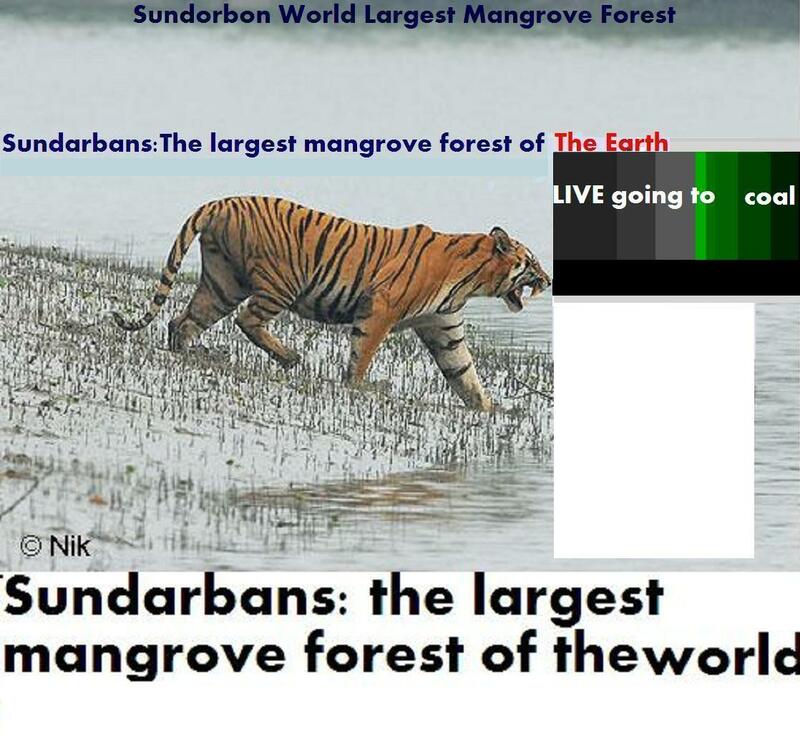 June 5, 2013 – River Mangrove Are The Life Of Climate.IS. Haritage and royal bengal tiger are……. All the politicians, media personalities and buddhijibidera from the earth intended to strict confidentiality through the sort of power politics than 100 armed cadre Indian intelligence agency Research eyanda Analysis Wing ‘s’ the direct supervision of the deradune long 6 months-wide commando training with the 010 in the The secret of the murder, kidnapping etc are the various mischief. “Krusedara – Hundred” kodamenera this group entered in the 009 and 010 at the end of September in that position until mid-June. Some of the young kamandodera training to Bangladesh Army and the Indian Army commando trainers rounder durdharsa these young people are trained. Indian intelligence agency Research Analysis Wing eyanda ‘s’ of the original plan, and Bangladesh Prime Minister Sheikh Hasina and the Security Adviser Major General (Rtd 🙂 Tareq Ahmed Siddiqui, direct guidance, “kruseda Hundred” of the whole project is implemented. Palanakala from military duty, Major General (retd) Tarique Ahmed Siddiqui, the Indian ‘s’ and the British MI Six of the special relationship established with the long-term. Sheikh Hasina said her family ghanisthatarasutrei ‘s’ and MI Six’s relationship with the created. 009 in January Advisor to the Prime Minister of Bangladesh Awami League government of Prime Minister Sheikh Hasina said and stopped chotabona the rehanara brother-in-law of Major General (retd) Tarique Ahmed Siddique government byaktitbe became essential. “Krusedara handresa” a whole batch of team members, he devoted himself and some of his fellow army officers and retired cadres of the party and the government choose. ‘Krusedara Hundred Group members return from India at the end of the training, some of them in the hands of the opposition politicians, media personalities and representatives of civil society is to provide a list of hits. Tathyamate, ‘krusedara Hundred’ gang’s name in the hands of the person who supplied a list of 83 names have been designed to remove from the earth. The team members are trained assassin in Gulshan Baridhara area and location of the home. Baridhara based guptaghatakera Major General (retd) Tarique Ahmed Siddique has direct supervision and guptaghatakadera abasasthalasamuha sarbheilyansa sophisticated equipment is fully furnished and these abasasthale public entrance. Most recently the leader of the Bangladesh Nationalist Party to be carried off. Ilyas Ali named “Hundred krusedara” Force -’s list. Hit lists the names of some of the leaders in the New dillistha politician who has been the source amanullaha Aman, Mirza Abbas, Sadek Hossain khoka, Brig Hannan Shah, gayesbara Chandra Roy, MA. Ilyas Ali, the Prophet Muhammad Sohail Habibun, Abdullah Al Noman, Kazi Zafar Ahmed, Mir Qasim Ali, Barrister Abdur Razzak, Shafiul Alam major, said. The. Th. Abdur Rob, Mufti Fazlul Huq and Maulana Fazlul amini karima, Shafiq Rehman, mehanaja Rashid, Abdul Awal Mintu, Captain Tareq Rahman and Tajul Islam Farooq (the name gardiyanera 8 from the date of the report enclosed). Awami League and the “s” in the December decided that 013 of them will want to come to power again in the future mission of the group is very important in power has brought. Small and medium-range krusedara Hundred gang sailensarayukta sophisticated weapons, buletaprupha jacket, rich gas bombs and other vehicles for operation. Bangladeshi intelligence agencies in the eyes of some members of the group in order to avoid using a satellite phone. Each member of the gang arthasaha several additional opportunities for large sums – facilities, such as members of the family – for parijanadera dhaka city eyapatamenta and small businesses have the opportunity. During the day, they can not show it publicly and purodina them around the city to the location of the dorm. It is important to find out if you face them, hide them from the public, it is compulsory to wear helmets black dye. All the members of the team from 7 to 10 days to be sent in confidence to relax and travel without having to show any documents Bangladesh – India border crossing nirbaghne they are allowed to. We have read the report dhairyadhare long and hard to believe that maybe your own eyes. But I want to remind the Times of India newspaper in India on April 11 in 010 “NSG boost to Hasina inner cordon: Handpicked commandos to train at Manesar” report. Indian President and Prime Minister Sheikh Hasina’s security for the safety of a rounder commando force Sheikh Hasina has been presented. The group is already in tarunake Haryana is located in the province manesbare National Security Guard (enaesaji) at the start of training. Check out the little taimalainata. Sri Lanka Guardian, a few months after the training has been the starting time of the ritorteo India has admitted that he has already started training. The training objectives are different. The reason I have been training in secret for the purpose of abduction is impossible because of the Indian Army between the two yekajana manabikabodha the officer can sit down and leaks in the tight corner of India and the world can be. The strategy of the security forces training at the Commando Training gundadera Bangladesh Awami League highlights gumera establish the kingdom.